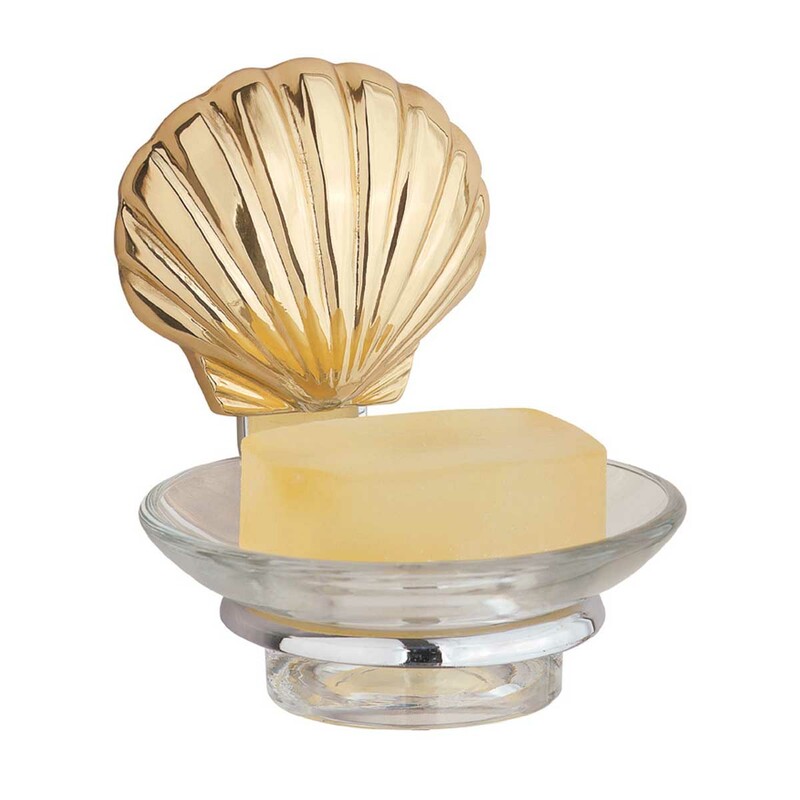 Has an attractive solid brass sea shell design? Features a chrome over solid brass ring? Includes the lovely glass soapdish insert? Soap Dish. 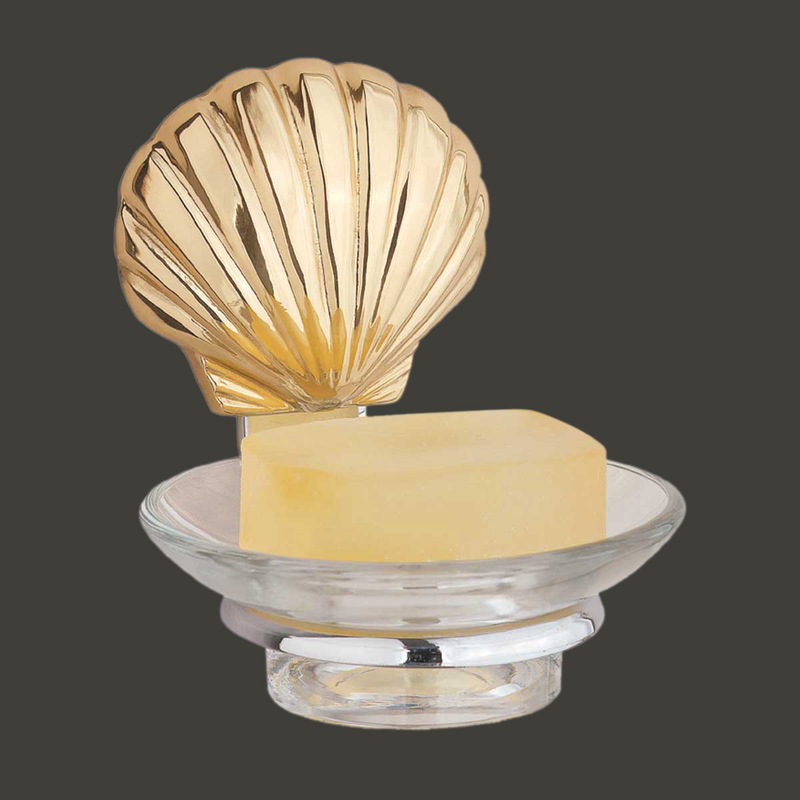 Part of our Sea Crest bath collection. This soap dish has a solid brass shell with a chrome over solid brass ring. 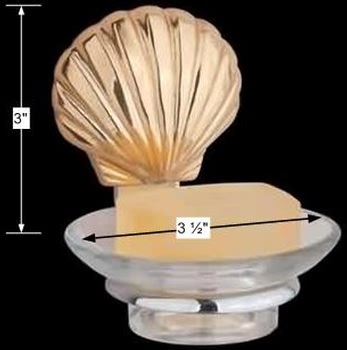 To insert glass dish remove the sea shell backplate by gently pulling. Simply press sea shell back in place once the glass insert is secured. Glass 4 1/4 in. dia. insert included. Measures overall 4 3/4 in. H x 5 in. proj.